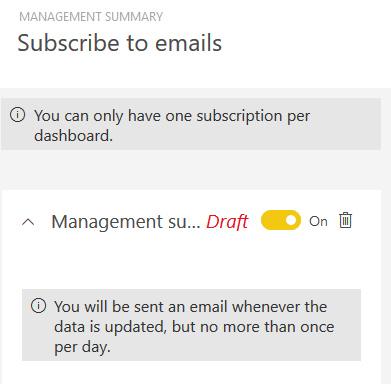 What you'll see if you try to share a dashboard from the free version of Power BI Service. Select the dashboard that you want to share. 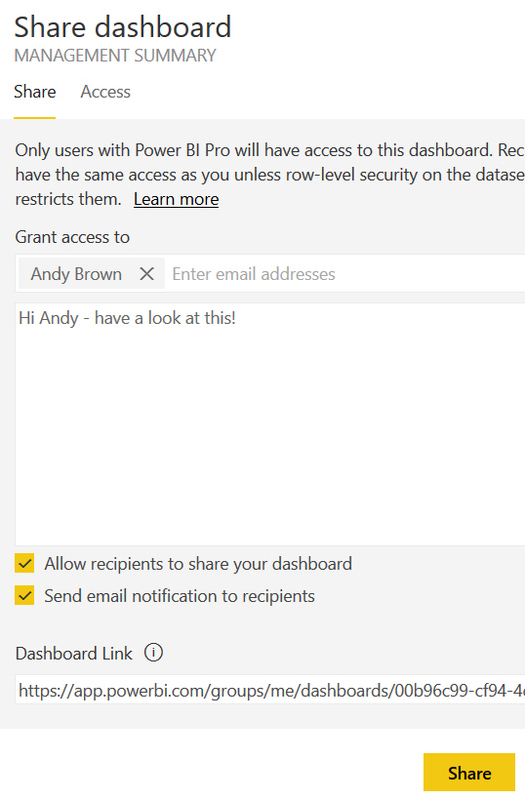 Specify one or more people within your organisation with whom you'll share your dashboard (and whether they will be allowed to share it in their turn). 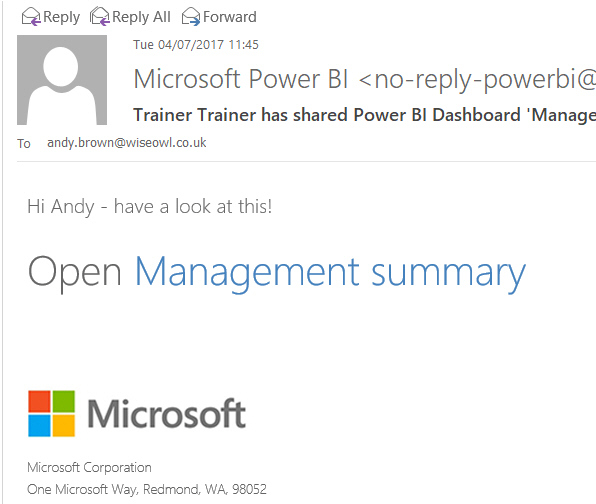 An exciting email from Microsoft! 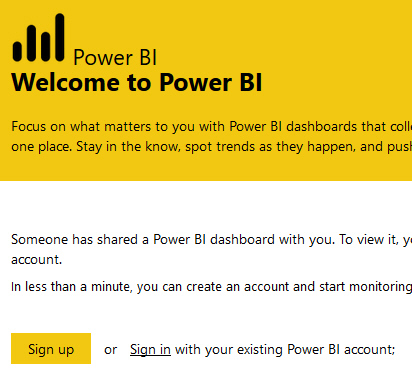 You'll need to sign in to a valid Power BI account. On my machine, this message never disappeared, but I could still see the report. Clearly the dashboard I shared wasn't popular! 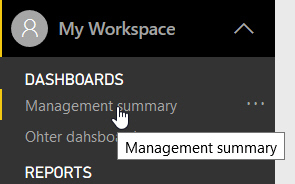 Here I'm going to get an email whenever someone changes the dashboard.